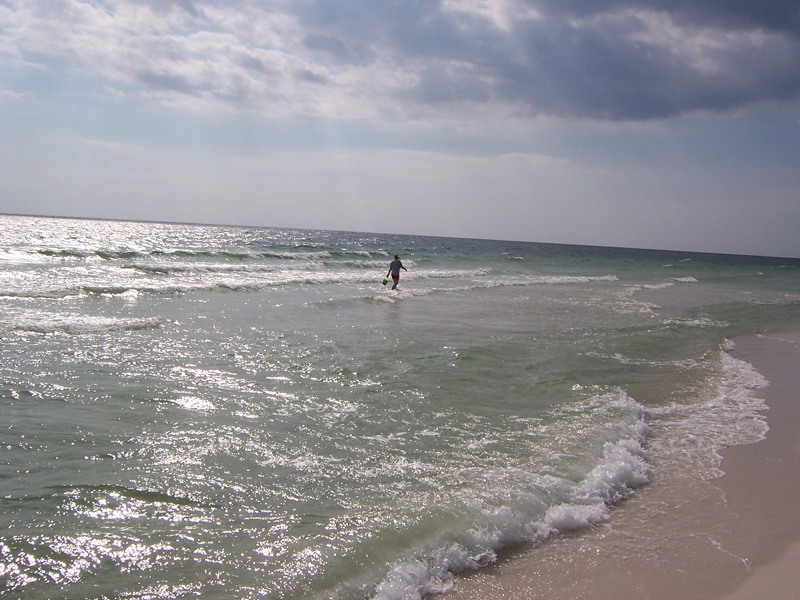 Anyone who has vacationed in Panama City Beach, Florida, knows it’s all about the hustle and bustle. There is always something going on in Panama City! You’ve got Spring Break, or July 4th, or Friday Fest, or, like we encountered this fall, Thunder Beach. Which, in case you don’t know, is a convention of motorcyclists (We did not do this on purpose!). Anyhow, did you ever just want some peace and quiet, and solitude while there? If so, I have a great suggestion. Treat your family to a Shell Island Cruise! There are several cruises that you can choose from, if you want to go to Shell Island. Captain Anderson has one, and then there is the Ashley Gorman Shell Island Cruise. We chose this cruise while visiting Panama City Beach with two of our grandchildren this fall, and we all had a blast. It is a 3 l/2 hour excursion to the island, and during the 1 hour trip over, you are treated to a meal of hot dogs, chips, and a drink, a rummage through crab traps they’ve pulled up for you, dolphin antics, and just the plain old fun of riding on a double decker boat. As far as the dolphins go, the boat actually will stop whenever they spot any and give you a chance to watch and take pictures. They actually have another cruise, that is seasonal, that will allow you to get into the water with the dolphins. Scuba diving lessons are given on this cruise. 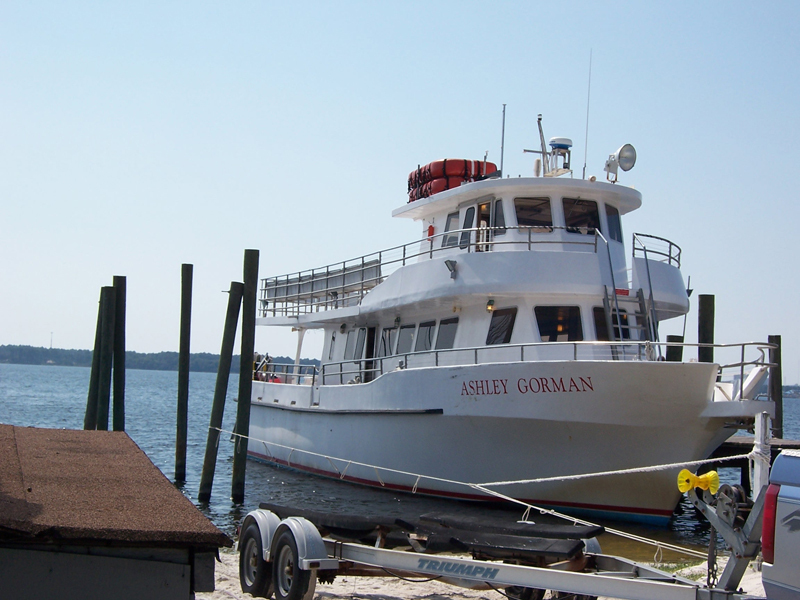 You can check thiswebsite for a phone number and information on the Ashley Gorman cruises. The double decker Ashley Gorman gives the kids the opportunity to walk around, climb the decks, and interact with the other passengers and crew. This also gives you lots of choices for views of the beautiful Gulf of Mexico, the dolphins, and the passing boats and Florida islands. However, the real treat is actually Shell Island itself. Here’s that solitude I was talking about. The Ashley Gorman carries over about 50 people, and I saw only two boat docks, so there are just not that many people there at one time. And the island is very long; so you can walk and just about be alone. The excursion gives you an hour on Shell Island, which is plenty of time to walk in the surf, or swim (if you bring your bathing suit), or just search for shells. Our grandkids had a great time shelling, and found some really good ones. Sandbars go out pretty far, so you can walk out and find sand dollars, and maybe a conch shell. Panama City has some of the most gorgeous white beaches and aquamarine waters that I have seen on the Gulf, and on Shell Island this is just intensified. 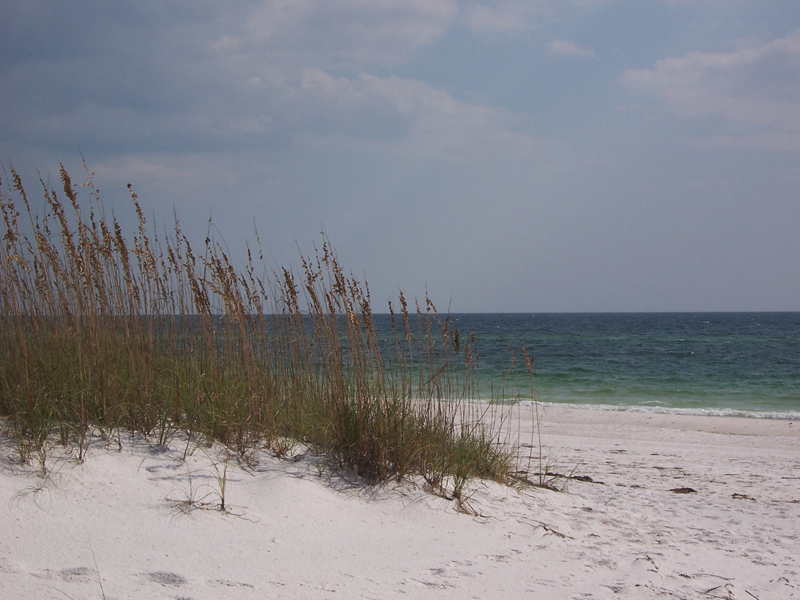 The beaches and water are just beautiful; and the sand dunes with the sea oats blowing in the wind are definitely picture perfect. All of this is something extra special that you just don’t expect at Panama City Beach, but something you should definitely experience. At the boat’s warning horn, you have to rush back across the long boardwalk over the dunes to the Ashley Gorman for the return trip. But that’s OK, because they have a little snack bar where you can buy the kids some Cheetos and a Slushie, and they will go off happily to watch the dolphins; while you buy yourself a treat from their mini bar, and sit back and enjoy the ride home.